Lodging without meals. Includes a free pass to the seven public onsen & free rental Yukata. Plan with one night lodging. no meals. Includes a free pass to the seven public onsen. 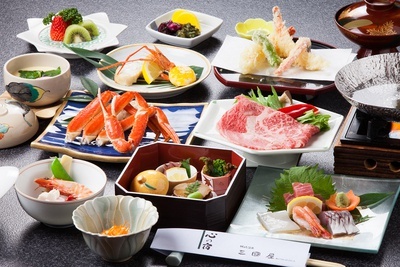 Standard Kaiseki Course (Miyama). Includes a free pass to the seven public onsen & free rental Yukata. Plan with one night lodging and two meals included. 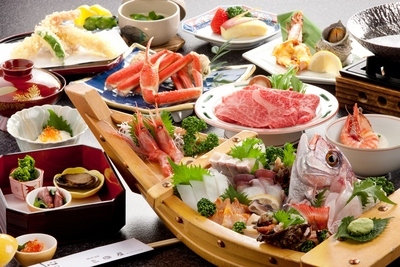 Meals - Dinner: Traditional Japanese banquet style dinner with seasonal Japanese dishes. Breakfast: Tradtional Japanese breakfast. Dinner meals will be served in your room. Includes a free pass to the seven public onsen. Note: If you need vegetarian meals, Please check options. 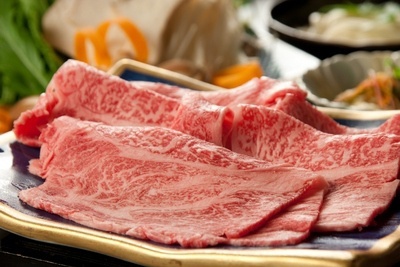 Tajima （Kobe) Beef Shabu-Shabu Course. Includes a free pass to the seven public onsen & Free rental Yukata. Plan with one night lodging and two meals included. Meals Dinner: Traditional Japanese banquet style dinner with Mini Tajima(Kobe)Beef Shabu-Shabu Course. Breakfast: Tradtional Japanese breakfast. Dinner meals will be served in your room. Includes a free pass to the seven public onsen Note: If you need vegetarian meals, Please check options. Funamori (Sashimi) Course. 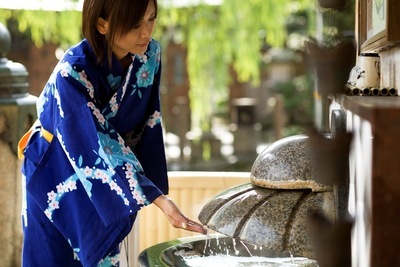 Includes a free pass to the seven public onsen & Free rental Yukata. Plan with one night lodging and two meals included. Meals Dinner: Traditional Japanese banquet style dinner with Funamori (fresh sliced raw fish) Course. Breakfast: Tradtional Japanese breakfast. Dinner meals will be served in your room. Includes a free pass to the seven public onsen. Note: If you need vegetarian meals, Please check options.